Subscription boxes are some of my favorite ways to discover new products. Peaches and Petals is a lifestyle subscription box that features a great assortment of products for your home, wardrobe and beauty routine. June's theme is Summer Lovin' and I have to say, I love every item this month! Let's take a look. Hard Candy Fox in a Box in Truth Or Dare | $6 | I've never tried Hard Candy blushes but I love the shade and packaging of this blush! It comes with a bronzer and pink blush that can be used separately or swirled together for a beautiful summer glow. NPW Mask Trio | $6.99 | This set comes with three single use skincare items which is fabulous for this time of year. If you're traveling and want to pack light while still pampering your skin, single use skincare is the way to go! This trio contains: Cucumber Hand Cream, Pomegranate Face Mask, + Almond Hair Mask. Babo Sport Stick Sunscreen | $9.99 | I'm a huge fan of stick sunscreen. I use a standard lotion when we are at home getting ready for the pool but for on-the-go and touch-ups, I live for this formula. It's easy to apply, blend and not as messy as typical lotions. This particular version can be used on the face, lips, nose and ears so all your little one's parts are covered! 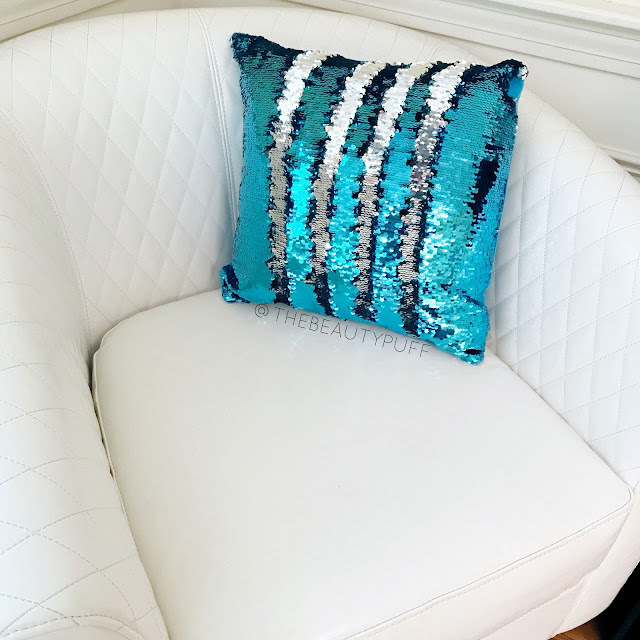 Sparkle Pillow | $13.48 | My three year old flipped when she saw this pillow! (Who can blame her, it's so eye-catching with the sparkles!) It has sequins which can be flipped either way to create patterns and letters which is really fun. One side is turquoise and the other is silver. This makes an adorable addition to our playroom!